A new scheme for children who regularly have blood tests, to allow them to see what happens to their blood, is one of the key highlights in our June progress report. Read " ‘Hey doc, where does my blood go’ – new …"
A colourful new animal-themed children’s menu has been launched on our children’s wards. 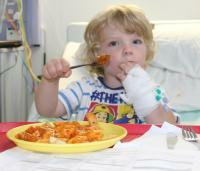 It gives poorly youngsters the chance to choose their own breakfast, lunch and dinner when staying on the children’s ward at both our hospitals. Read " We’re serving up something tastier for o…"
A two-week trial to redirect people from the Emergency Department (ED) at Queen’s Hospital has been extended for a further four weeks. Read " Pioneering trial which redirects 60 pati…"
Death is a part of life in hospitals and by preparing for it, and talking about it, we can ensure that more people are able to have the care they want at the end of their lives – whether that be dying at home, marrying their partner, or seeing a beloved pet for the last time. Read " Help us to improve our end of life care…"
Come along to the Annual General Meeting at Barking, Havering and Redbridge Hospitals NHS Trust to hear about key developments and achievements from 2015/16. Read " Come along to our Annual General Meeting…"
Today (Tuesday) is forecast to be the hottest day of the year so far. It’s great to see some sunshine, to make sure we all keep healthy and happy there are some simple steps we can take. 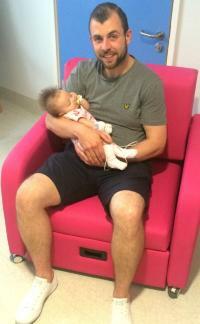 Read " Staying healthy in the heat…"
Worried parents with little ones on the children’s wards at Queen’s Hospital can sleep a little easier at their bedside – thanks to 30 colourful new fully reclining chairs. Read " Parents can sleep easier on our children…"
Our cancer patients are to benefit from a state-of-the-art CT scanner worth around half a million pounds. The new radiotherapy specific scanner has just been delivered, and will be ready for patients by the end of this month following installation and staff training. Read " Cancer patients to benefit from our new …"
Something new is happening at Queen’s Hospital from Monday (11 July). 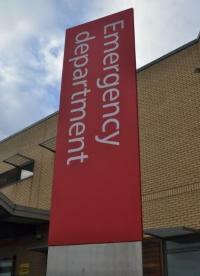 People arriving at our Emergency Department (ED) between 8am and 8pm who don’t really to be there will be redirected to more appropriate places to receive care. Read " Changing the way people access emergency…"
A Nursing, Midwifery and Allied Health Professionals (AHPs) conference has been held to celebrate the achievements of staff across our hospitals. Read " Nursing staff gather to celebrate their …"